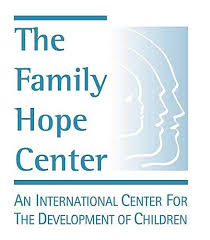 The Family Hope Center is dedicated to helping families of children with developmental delays and special needs. There are thousands of children with mild to profound developmental delays whose parents do not know where to turn, yet refuse to let go of their hope for a better future for their children. These children with developmental delays and special needs are indeed very special because their parents are determined for them to have the best life has to offer. The Family Hope Center is Here to Help. 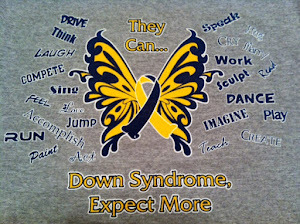 We are an international organization with special expertise in the treatment of children and adults. The treatment methods practiced at The Family Hope Center can be effective regardless of the cause of the condition, or the severity of the injury or impairment. We focus first on helping parents and Families understand how the brain grows and develops. Based on this unique understanding, the Team instruct and support the Family in a step-by-step, comprehensive home treatment program to help their Family member achieve an optimal level of function and quality of life. The programs are individually designed to meet each person’s specific needs and the Family’s specific circumstances, utilizing a primarily an in-home treatment program. The Family, because of their intense love for their child and natural motivation to help them, can, with the proper training and support, become the best therapists for their brain-injured child. Most developmental conditions are caused by injuries to specific areas of the brain, and are not related to the muscles. Therefore the treatment must be centrally directed to the brain, not to the arms and legs. The brain develops and heals with the proper frequency, intensity and duration of sensory stimulation, and the opportunity to develop specific motor functions. We put aside such labels as: comatose, vegetable, cerebral palsy, hemiplegia, paraplegia, learning disabled, mentally retarded, autistic, ADD, ADHD, hyperactive, hypoactive, Rett syndrome, dyslexic, epileptic, Down syndrome, stroke, Parkinson’s, etc. These and similar labels, which are simply names given to collections of seemingly unrelated symptoms, can become almost overwhelmingly painful and discouraging. Successful treatment of the brain can make these symptoms disappear. At The Family Hope Center we pinpoint the location of the injury in the brain, design and develop a highly individualized tailored treatment plan that specifically targets the injured area, and follow up with support, supervision and on-going counsel.